I'm finally unwinding after having a great time at HIMSS 2016 (#HIMSS16). 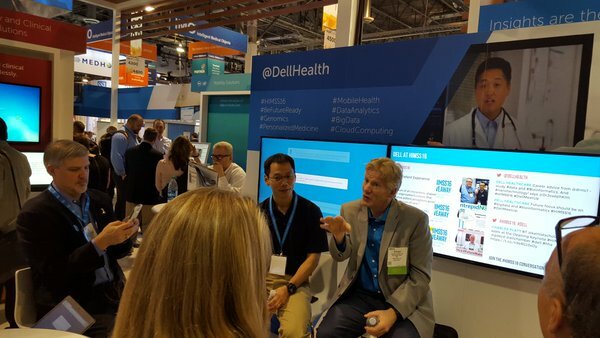 My personal highlight was participating in two Dell Healthcare Tweetups with @MandiBPro and @drnic1 as we chatted about some of the evolving trends in health care. We discussed how data-driven care can improve patient outcomes as long as clinicians have access to the right data at the right time and the right place. We still live in a world where interoperability remains a major barrier, but perhaps 2016 will be the year where we make some significant strides in this area through broader collaborations and partnerships across the health IT industry. 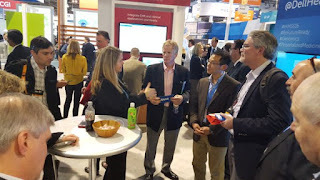 At HIMSS this year, you couldn't walk around the conference without seeing signs about population health, data analytics, and precision medicine. 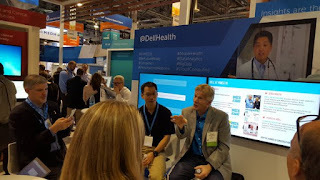 We discussed these topics at the Dell Healthcare Tweetups and heard different perspectives on cancer care, mental health, team-based care, and the practice of medicine in community-based settings. More patients are getting engaged in their own health care and we are generating so much health data, but clinicians need to know how to effectively tap into all this data to get meaningful and actionable information that will improve patient outcomes. We're seeing a lot of exciting advances in cancer care, especially around precision medicine and genomics. We also heard about how Dell's Cloud Clinical Archive services are integrating genomics into their core offerings. Speaking of genomics and big data, Dell has a longstanding collaboration with Translational Genomics Research Institute (TGen) and they are empowering clinicians and researchers to fight pediatric cancer.